Right now Britain’s foreign policy should have one primary objective. To ensure that Donald Trump follows his predecessors as American President and commits absolutely, and without equivocation, to the NATO alliance. Considering the implications of America’s commitment to NATO becoming dubious this is more important than any other policy priority, including laying the groundwork for post-Brexit free trade agreements. If you share my view, and I suspect you do, that Trump is an unprincipled bigot you will agree that this task will be unpleasant. I don’t envy the politicians and diplomats responsible for the relationship. But the national security implications of failing, of America’s commitment to NATO becoming conditional or worse, are so enormous that it has to be tried. This doesn’t mean we should abandon our values or morals, but it does mean that the British Government is absolutely right to attempt to gain influence with Donald Trump and befriend senior figures in his administration. Since its formation in 1949 the NATO alliance has been the cornerstone of Britain’s defence policy. Most significantly it has tied America to the defence of democratic Europe, with this region and NATO both expanding to the East following the disintegration of the USSR. However both before and after his election in November Trump questioned America’s commitment to the alliance, whilst simultaneously building a warm relationship with its chief foe. This means that for the first time since NATO’s foundation America’s commitment to the alliance, and particularly the ‘Article 5’ collective defence provision, is in question. In an interview with the New York Times conducted in July 2016 Trump wouldn’t commit to defend NATO members who hadn’t ‘fulfilled their obligations to us’. He failed to define what he meant by this, but the most likely explanation is that he was referring to the target NATO sets its members to spend 2% of their GDP on defence. Alas at present only four of NATO’s European members (Britain, Poland, Greece and Estonia) hit this target, and quite a few members are well below. Trump has also maintained an uncomfortably close relationship, which clearly includes an element of admiration, for Russian autocrat Vladamir Putin whilst in January he suggested that NATO might be obsolete. American frustration about low European defence spending is both longstanding and justified. In 2015 over two-thirds of NATO defence spending was accounted for by the United States, which, adjusted for real GDP, is clearly disproportionate. As European security seems assured by the United States many European countries have allowed their militaries to decline, focusing spending in other areas. The de facto result of this is that American taxpayers are subsidising generous European social security systems. And Europeans on the whole haven’t exactly reacted to this situation with gratitude. The most common European stereotype of America, admittedly at least somewhat vindicated after Trump’s election, is of an unstable bully rather than our gallant defender. As such Trump, in the manner of a stopped clock being right twice a day, is absolutely right in demanding that European countries pay more towards their own defence. But this doesn’t justify America’s commitment to the NATO alliance becoming questionable, a situation which would be disastrous for Europe’s security and damaging for Americas. 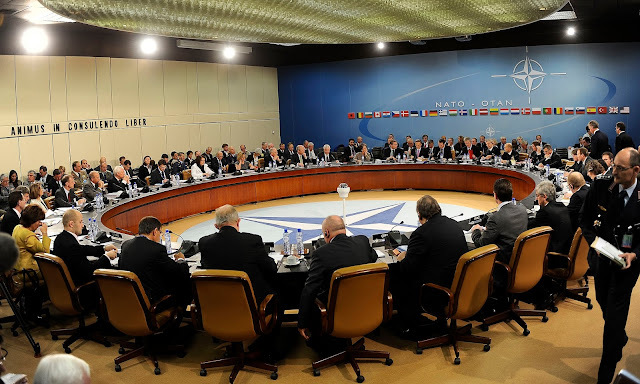 NATO’s Article 5, the mutual aid clause which states that if one NATO member is attacked all other members must assist, is only powerful if its implementation remains credible. Already this is somewhat dubious. I don’t imagine that anyone seriously believes that Turkey, for example, would go to war to protect one of the Baltic States. But as long as America’s commitment is assured this only matters up to a point, and the alliance remains strong. Without America the whole edifice starts to crumble. It’s unclear, for example, how many European countries would be prepared to risk military confrontation with Russia without American assistance. If America’s commitment to NATO becomes questionable it will create two main risks. The first, obviously, is an increased probability that NATO members could have their territory violated, possibly leading to conflict. But the bigger risk is that it would make war between the great powers far more likely. International stability depends on major powers understanding the likely behaviour of other great powers. Thus under Obama it was clear that America would not respond militarily to Russian intervention in non-NATO/EU states, such as Georgia and Ukraine. However it was also pretty clear that if Russia attacked a NATO member, most likely one of the Baltic States, America would respond with force. With Trump it’s far from clear that anyone, including Trump himself, knows where the red lines are. This uncertainty increases the chances of a miscalculation, which could lead to a confrontation between the great powers. Putin may think he can intervene in Estonia with Trump as President for example, without consequence, and he’s probably right. But it’s hard to be sure, especially when some of Trump’s Cabinet, like Secretary of Defence James Mattis, are much more hardline. For the reasons laid out above a conditional American commitment to NATO would represent a direct threat to the security of Europe, including the United Kingdom. As such the top foreign policy priority of the British Government, and I think they recognise this, is to ensure Trump is committed to NATO. This is why it was so important for Theresa May to meet Trump as soon as possible, and she claims Trump assured her that he was committed to NATO. This is also why the British Government can’t cut its ties with the Trump administration when he pursues unpleasant policies which we disagree with, such as the ban on travel to America for nationals of seven Muslim countries. It Europe was militarily stronger, as it ought to be, this would be a realistic option. But our Government has to deal with the world as it is, and this means we have to at least try and tie Trump to the NATO alliance.